Check out just a few of the snippets from my interviews with influencers, best selling authors, PhD subject matter experts and world class coaches plus more. Our vision is to contribute to the reduction of suicide among men globally. We’re reaching out to every fella who feels that something in their life isn’t working for them. Our goal is to connect and build a community of likeminded people who can support each other through the good times and the bad. The ManBits Podcast isn’t just Bits for guys. It’s Bits for everyone! Listeners are guided by subject matter experts, thought leaders, specialists, authors and regular Joe in all things relating to Men’s health, self and wealth. Our guests generously and openly share their journeys of resilience, growth and fulfilment. At times, it’s tough being a bloke and let’s be honest guys, we’re often guilty of burying or masking the things that get us down so as to protect ourselves from being too vulnerable, or appearing to be weak. I’ve got news for you fellas – Vulnerability is True Strength. Great selection of stories, and knowledge. matters that relate to everyday people! Paul is a great host, knows how to ask those questions, I am subscribing to this one for certain! I love the vision and mission you’re on to improve Men’s Health worldwide. great content – keep doing what you’re doing. Love this. Great message and info for positive change. Too easy of a decision to hit subscribe on this one. All the best Paul. Great podcasts with plenty of insights! Really good listening. Love it. Paul Averill has developed a rich podcast series that gets to the deepest emotions that men sometimes don't understand or know how to share openly. His style of interviewing enables one to share at ease. He has collated a fabulous range of practical guidance for men, which impacts their lives, their families and their female friends and intimate partnerships. His work is so important in today's world where confusion and chaos can stop us progressing. Thank you Paul, your work is very important. 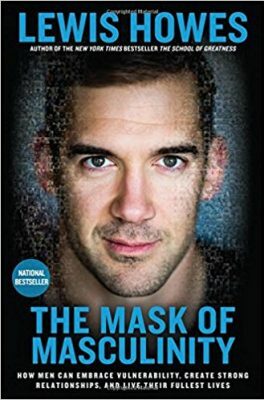 Lewis Howes grew up as an athlete. He was a two-sport All-American, played almost every sport in high school, and went on to play football professionally. 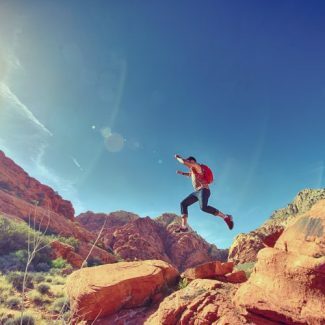 Howes then transferred his competitive nature from sports to business, building his podcast, “The School of Greatness,” into a global phenomenon and becoming successful beyond his wildest dreams. But his whole identity was built on misguided beliefs about what “masculinity” was: dangerous, false ideas learned from teammates and coaches in locker rooms and stereotypes in the media.